For the first time in you know, forever T-Mobile has formally introduced LG into their lineup. The LG Sentio, dLite and GS170 (which obviously isn’t special enough for a name) are all coming to T-Mobile this summer, which should be any day now considering we just entered June. Where has the year gone by the way? The LG Sentio (pictured above), offering a 3-inch touch screen with a virtual QWERTY keyboard will be the “smartest” of these dumbphones. Offering personal email and wait for it, picture messaging! A full touchscreen, 3G connectivity and a 3 megapixel camera are also on board. The LG dLite has a hidden LED matrix displaying on your outside screens that will light up in pretty colors. With 3G connectivity, a 2.8-inch touch screen and visual voicemail support this phone is perfect for those of you who just are not ready to make the leap to the smartphone era. The LG GS170, which simply wasn’t special enough to get a name also comes with a speakerphone, large visible keys and is simply speaking, a plain phone for those of you who desire little more than performing phone calls and simple messaging. However, LG was kind enough to do a little throwback and include a VGA camera for your photo taking pleasures. SAN DIEGO and BELLEVUE, Wash., June 2 /PRNewswire/ — LG Electronics MobileComm U.S.A., Inc. (LG Mobile Phones) and T-Mobile USA, Inc. today announced the upcoming availability of three new phones from LG for T-Mobile customers, a first-time collaboration between the two companies. The LG Sentio™, LG dLite™ and LG GS170, which are anticipated to be available this summer, provide a variety of features, form factors and colors that will appeal to different members of the family. The LG Sentio and LG dLite come equipped with T-Mobile® Social Buzz, an application that provides easy access to your favorite social networking sites. Once installed, the application will keep you in the know with pop-up notifications to the phone’s home screen and provides the option to visit each social networking interface separately or visit the aggregated screen that includes messages from all communities. 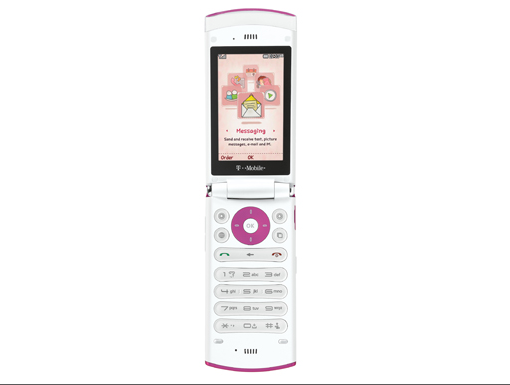 The LG Sentio offers a 3-inch touch screen with a virtual QWERTY keyboard making it easy to keep in touch with friends and family via Social Buzz, personal e-mail and picture messaging. With a full scroll touch screen and the ability to customize the home screen with widgets, the phone keeps your favorite features upfront. The phone also comes with 3G connectivity for fast Web browsing over T-Mobile web2go(SM), GPS with location-based services, a 3-megapixel camera with video playback, an MP3 player and Visual Voicemail support. The LG dLite makes hearing from friends and family always enjoyable with a hidden LED matrix on the outside of the phone that displays icons for alerts, caller ID, time and date, as well as uniquely customizable edge-lit LED light colors and patterns that can change on a whim. In addition, the dLite features Social Buzz, 3G connectivity, personal e-mail, and Visual Voicemail support. This flip phone offers a large 2.8-inch main display and comes in two vibrant color finishes, bubblegum and electric blue. 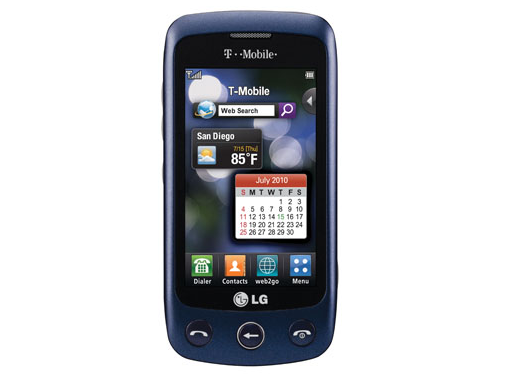 Rounding out the LG trio, the LG GS170 offers an intuitive user interface, one-touch speakerphone and large visible keys, packaged in a pocket-size clamshell design. The GS170 offers a high-resolution color display along with a VGA camera, MP3 ringtone capability, Bluetooth® 2.1, and text/picture messaging and e-mail support. The LG Sentio, dLite and GS170 are expected to be available this summer in select T-Mobile retail stores and online at http://www.t-mobile.com. Hmmm…. LG Eh… They haven’t made a decent phone in ….. uhhhh…. a looooooooong time! the LG I want to see is the Galaxy S.
That would be the Samsung you want to see. awesome! Not sure how good these phones will be… but I used to have and ENVI when i was with verizon and it was the best phone I had back then… LG rocks! Hopefully this means more good LG phones to come for Tmo! I think you’re some kind of LG employee trying to promote it or something. If Tmobile thinks it’s going to capture some Verizon customers by carrying LG. They are sadly mistaken. We all know what LG stands for “Lota Garbage” The main reason Verizon carries LG is because it breaks so easily. Then when you go back to your local VZ location their glad to move you into a new handset by charging you a few bucks and lengthening your contract. This is how VZ hooks customers for life. I love T-mo but I’m sooooo FREAKIN tired of them putting out these stupid a%$ low end devices. Unlike you, many people look forward to phones that do what a regular phone is meant to do. Most people don’t need a 3.7 inch screen, don’t know what a snapdragon is, and don’t really care about a 3+ megapixel camera or hd video recording. These are budget phones, and are made as such. You seem to be ignoring the fact that EVERY company has low end phones. And there is a reason for that. Yea. No wonder smartphone sales have increased rapidly in recent times. And every company also keeps introducing high end smartphones… Where are TMO’s? The HD2? HAHAHAHA We need Android superphones NOW!!! I totally agree! Some people don’t want to spend 200 dollars for a phone and certainly don’t want to pay for data every month. I think the Sentio is cute. I think it’ll be good for semi-smartphone users. Yeah Including the Attitude of some of their Customers!!!! I would guess that a lot of people on T-Mobile like low end phones. Not everyone is gonna spend +300 on a phone. You make a good point, but there is a myriad of low end devices on TMO and NO high end Androids. T-Mobile is basically a family oriented carrier. Famile oriented phones. Those for the kids, teens & adults. T-Mobile probably won’t ever be up par with Verizon. are you trying to say verizon’s droids are business oriented? Blackberry’s are business oriented not android. Not im not saying all of their phones are business oriented. Im basing that off of that fact that most business people, where I live, use Verizon. Yes, T-Mobile does have some business phones [ hence the Touch Pro 2 & Blackberries ]. I just feel that T-Mobile is a family oriented type target carrier. I’m just saying bro haha. no wonder i never owned a lg phone, thats just horrendous!!! Tmobiles selection of low end and mid tier non smart phones are hurting. this will help alot in the stores and hoefully they will be priced at free or dam close to it. Well, I for one have been looking for a really basic phone with big, readable numbers for my mother-in-law. She can’t see that well. We’ve been frustrated with the selection of basic phones at T-Mo that don’t suit her needs, and I don’t want to change carriers just for that reason. So the GS170 looks like it might fit the bill. If only I could see what it looks like opened. How about a model with either Android or WP7? its really aggravating to see tmobile get these low end devices considering the fact that other carriers have amazing android phones. Its hard for me to stay with t mobile when i have been getting so many dropped calls and they dont have any good phones (dont count the nexus one..and HD2 is horrible since it has WM). Im staying with tmobile because i love the plans..im just really hoping they can bring something out. But all carriers have plenty of low-end, budget phones, don’t they. And why is anyone assuming this is the extent of what T-Mobile will debut. Fact is, T-Mobile is refreshing its entire phone lineup, the same as all the carriers. Like I said before, the next six months we shall see plenty of new high-end phones from T-Mobile. That is the most awesome ROM I have ever put on a WinMO phone. And I have tried them all starting with my Touch Pro2. And it has Manila TV and a few live TV stations that work. I love Manila TV and on an old cooked ROM on my Touch Pro2 I could get MSNBC’s live cable broadcast. Future ROMS did not include Manila TV so I was glad to see it on the Evo ROM. I asked the Evo dev what V2 will have and he said “Sorry, no can tell but it’s going to be great.” Oh well, I tried. haha that is a good video, i felt like i was inside a classroom listening to a professor! LOL.. you even have a pointer! Tmobile_usa already has enougb low to mid range phones. They need to look at Verizon, the r getting high end devices and they rselling like hot cakes. I cannot wait for the new CEO to take over, I see wjythey r in last place. Well any carrier should upgrade phones from the low to high end. Each year there’s new technology that makes a $500 phone from two years ago a $50 low-end phone today. E.g., I bought a prepaid phone for my mom (still trying to get her a good fit, she has been a pita on this, but I can’t say that to mom, can I). Anyway, it cost me $25 on sale, a Nokia 2720 that has net access, a decent 1.3MP camera, camcorder, FM stereo radio, Bluetooth 2.0, and decent other specs. All that for $25! A few years back that phone would have cost a fortune. So T-Mobile has to update its lineup, even on low end phones. Give T-Mobile the opportunity to roll out those high-end phones. As I said before, between now and November you are going to see lots of great offerings. And yes, Philipp Humm will whip TMOUS into shape, starting with, I suspect, an immediate roll out of any superphones that might be scheduled for a debut later in the year, for example, I suspect in July we will see the SGS. In the meantime, I predict the Slide will sell very well. It’s getting great reviews. Heck, even sites that diss anything non-Apple are saying the Slide is a nice phone. And to most of the public it is a high-end phone. And it’s their opinions that matter, not the geeks who hang in here. Touchpro 2 is non-android, touch screen, and full keyboard. Why does it have to be a non-android one? Thats elminating what is now the most popular OS among wireless carriers. I am going to buy a bunch of those and give em to all the pavement princesses in my stable. @B-rad, i work for tmobile and we do have one its calleed the wing its windows mobile not android so why dont you get your facts before you go running off at the mouth about something you dont know about…MMmmkk??? thanks! Well I’m glad to see these new LG phones. I’ve been looking for a touch screen and don’t want to spend massive $$$ on a data plan. I love T-Mobile! Jesus, sometimes I forget there is a market outside of androids and smartphones. Well every carrier has their low-end, low cost LG phones, so why not T-Mobile. Moreover, even in post-paid there’s a market for phones like these, where the customer wants a cheap, simple-to-operate phone. Agreed… quite a few of my friends get “wowed” by my high-end phones but lack the desire (and usually the money) to own them. Also, they usually don’t have the need for 90% of the features of a smart phone. Another piece of crap. What is their problem? With the kind of great phones that are being made and distributed to other carriers by the truck load T-Mobile’s answer is to put this kind of crap out there. Very pathetic and poor business. Never been so frustrated waiting for a descent phone in my life. Like all the basic Samsungs and the Tap aren’t enough crap phones from T-Mobile, we need these too?? To the low-end Fanboys – The complaints of low-end phones on this site will not end. It’s like PHD Physics teachers commenting on how a kindergaten teacher teaches science. Its apples to oranges, but we are in a apple orchard so expect some sort of hate. To the High-end Fanboys – Saying that T-Mobile DOESNT Need these phones is very ridiculous. These phone are cheap to buy and sell.. and locks people into contracts which means more money for T-Mobile so they can shell out for our High-end Devices. I agree with all of the above statements EXCEPT “locks people into contracts”… Recently, TMO has been making moves to actually do away with contracts (as far as I see it). If you look at the Even More and Even More Plus plans and the huge strides they are taking to beef up their prepaid offerings, I wouldn’t be surprised if TMO does away with contracts completely in the next 5 years. This would be a first for any of the big 4 US carriers and, again, IMHO, would do wonders for their customer base. I overlooked the Even More plans (probably cause I have been in contracts my entire phone life) but yes, just having the plans are a big bonus on the consumers side. I dont know if they will get rid of contracts all together (from what i have seen.. “customer loyalty” is directly parallel with a customer’s ETF.. even on these boards!) but bringing the idea to the market give more kudos to T-Mobile in my book. sweet god. So many people commenting are just completely wrong…. I have an iphone and was over my aunt’s house several weeks ago for mother’s day. I don’t get to see my mom all that much so I was catching up with her by showing her some pictures on my phone. Within 30 minutes everyone of my relatives cared more about my phone then the pictures/memories themselves. They all had a billion questions (like the how much, where do I get it type), and they were ALL interested. For the love of Jesus my 80 year old grandma was asking me where/how to get one cause she thought it ruled. There it is people, this is reality. It doesn’t matter if people “don’t need data plans”…..they can EASILY be persuaded to get one….more money for TMobile, more high end phones, more customers, MAAAYBE we move out of legitimately last place in the next decade. Anybody out of here for the EVO in 2 days?? Tmo! Tmo! What are you doing??? I need your international coverage. But a want a COOL phone to do it on! COME ON!!!! so far I amot very motivated to leave Sprint. Anyone have any thoughts on the Nexus one as an international device? WTF? Lame, lame and lame. Is this the 3 LG that we’ve been waiting for? Am I reading this right?? It says he dLite will have a 2.8-inch TOUCH screen? Still waiting on that Project emerald news. My HD2’s speaker went out on me yesterday and now the only way I can hear anything is by using headphones. Selling HD2 once Project Emerald Release Date is confirmed. Y so many peeps dogging my HD2? I have dutty’s latest custom rom and have not had any issues. No freezing or lag whatsoever! Sure the market lacks but if you need games you can always run the playstation emulater. I have had a couple of LG phones with Verizon. Exciting? No. Pretty much bulletproof? Yes. Like the features or not, LG makes a good phone. NOOOOO! DONT DO IT! T-Mobile!!!!! Don’t make things worse! If T-Mobile would actually read our posts on how we DONT want the cheap budget phones, good grief we would be ambushed by tough decisions on what phone to get. 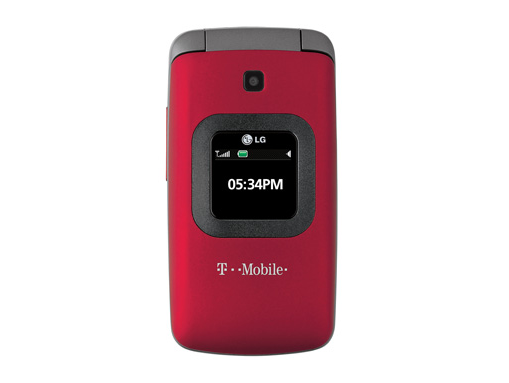 One of the reasons I left verizon wireless was because they seemed to have only really bad phones. Most of those were LG phones. There is no such thing as a good LG phone. LG phones have poor audio and mic quality. It’s fun to have an LG person use a Blackberry and see the difference. Ahhhh it's funny how a lot of you guys are whining about all of this, and how you want better phones. If you knew how amazing South Korean/Japanese phones are, and how much far ahead they are, you would think even the new iPhone4 is a piece of crap. Please check that… Because if it’s true, then :3 I’ll be ecstatic.